July’s Scotlandhour subject is Sea Scotland, all about our rivers, canals, boats, cruises and watersports. This month we’re delighted to welcome @scottishcanals as a co-host. Scotland welcomes so many visitors to enjoy our waters, history and stunning scenery. Wonderful journeys await them. There’s even a monster to search for! The borders have so many famous rivers. World class fishing too. The River Clyde starts in north of Glasgow and ends up in Firth of Clyde. For many years there were many seaside resorts where Glaswegians spent their holidays. Ferries travelled up and down carrying happy holidaymakers. There are still many great ferry routes to the Clyde islands. It’s great to see so many cruise ships docked at Greenock terminal, packed full of passengers coming ashore to enjoy what Scotland has to offer. The River Forth is Edinburgh’s river. There are the fantastic bridges which will be joined soon by the Queensferry Crossing. You can take a tour to see the bridges and the sea birds. The Forth and Clyde Canal has been revamped with it coming back to life. Falkirk Wheel is well worth a visit. 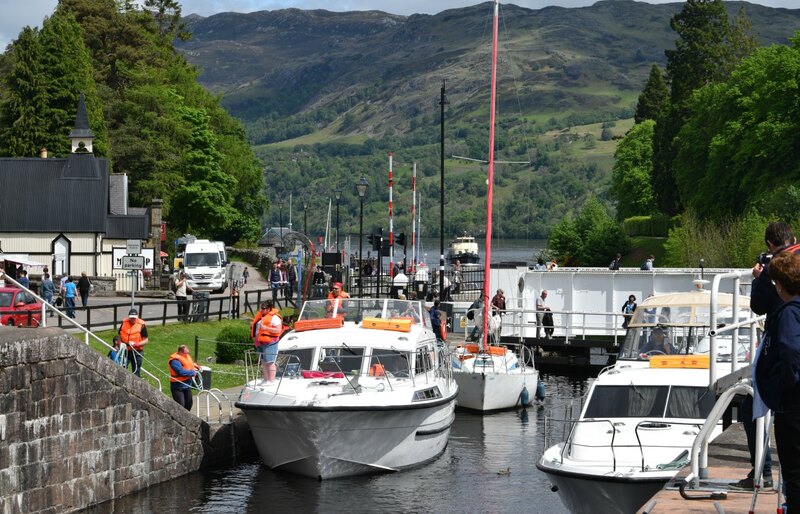 Loch Lomond is stunning and has many cruises to see the mountains, islands and villages. The loch is a magnet for tourists. Oban is the gateway to the Islands. You leave here to visit islands that you will never forget. There are sandy beaches that you can wander by yourself. You have to travel further north to take a ferry “Over the sea to Skye”. The Outer Hebrides are special and like no where else – a photographers dream. Lots of beaches in Scotland are perfect for watersports for all ages. Today’s beaches are a lot more than the old bucket and spade. Fort Augustus is the start of the Caledonian Canal. It’s very busy and has a great lock system. Well worth a wander along. We really hope you can come to Scotland and enjoy our rivers and seashores.